It seems that there is not to (and hopefully never will) be an end to the Hitchcock legacy. Indeed, with the release of new double disc DVD sets of later classics following on from the issue of much of his seldom-seen early work, Hitchcock could arguably be considered more respected than ever. The thing about Hitchcock is his general popularity- though his films are more closely linked with the thriller genre than any other, that genre’s continual flourishing has ensured that Hitchcock’s name also stays very much alive. It also says much for his approach to filmmaking that his great films stand up extremely well today- and even his more overlooked works are now being acclaimed for being masterpieces in their own right. In addition, Hitchcock’s films have almost universal appeal- they can be enjoyed by anyone from a “layman” through to a top academic who has studied film most of their life. Perhaps it is this that, above all, makes Hitchcock’s work so fascinating-the man himself an enigma, his films equally enigmatic. Ken Mogg’s book The Alfred Hitchcock Story is not, as one may erroneously suppose, an un-made episode of Wagon Train but is, like its subject, an imposing presence. The comfortingly large (if a little unwieldy) coffee-table style book opens with a striking monochrome portrait of the man himself closely followed by an affectionate and erudite foreword written by Janet Leigh, star of perhaps the most famous Hitchcock film- Psycho. This paves the way for a chronological survey of the films- and the life of their creator- which is divided up into five main sections covering 1899-1933, 1934-1939, 1940-1950, 1951-1964 and finally 1965-1980. As well as providing thorough coverage of the films in each year span- most films are treated to a double page spread, the more generally acclaimed works getting more attention- the sections also include more detailed reference to further aspects that are part of the Hitchcock legend such as ‘Hitchcock on Radio’ and ‘The Icy Blondes’. Finally, a systematic filmography/bibliography rounds up not only the films themselves but the television and radio work done by Hitchcock in America. The film-by-film survey starts with The Pleasure Garden, and moves efficiently through Hitchcock’s silent films, setting the pace for what is to follow in blending superb, high quality stills (including many fascinating ‘on-set’ candids), original publicity art and informative text. Whatever the text may say, the reader is certainly presented with a feast for the eyes- and also reminded of the very visual nature of Hitchcock’s films as many of the still frames are brilliant set pieces in terms of lighting, composition and mise-en-scene in general. The publicity art pictured varies from original British/American posters and lobby cards to foreign material (the French/Belgian posters being the most striking), intriguingly foregrounding what was important to those marketing the film, which was sometimes different from the content aimed at the American market. Ken Mogg’s commentary is in itself interesting, especially when it goes against generally held opinion, such as The 39 Steps being ‘perhaps not a great film’ (p.49), though controversy on this level is hardly a matter for commendation. This comment aside however, The Alfred Hitchcock Story discusses each film’s origins and its casting before moving on to an identification of themes and motifs discernable within the fabric of the film itself. It is a shame therefore that this knowledgeable and often unconventionally esoteric text allows itself to be drawn into the realms of extended literary references (as in referencing an inapplicable Orwell quotation on page 86) and into philosophy (Schopenhauer’s invasion of Lifeboat on page 89), for these do not advance the appreciation of Hitchcock’s films in any way. Although recurrent throughout the book (and met with a groan ever time they were chanced upon), one notable slice of pretentious name-dropping occurs in a discussion of Rear Window on pp.130-131. Given the four page limitation (including illustrative material) in which to discuss one of Hitchcock’s most significant films, there simply isn’t time to wade through tedium, literary or otherwise. It is, though, fair enough to cite influences- but do we really need the tenuous links to Huxley’s The Gioconda Smile? The conclusion- that Jeff is ‘doubly castrated’ (p.131) now that he has broken his other leg is patently absurd! Jeff breaking his other leg is just one example of the many Hitchcockian ironies used to reflect on human life itself- the way we rush to get jobs done prior to going out only to find that it has started to rain, for example. Mogg’s self-indulgent ‘I’ll-show-you-how-well-read-I-am’ style does not advance the book but actually serves to undermine it, for the reader starts to question how capable the author is of discussing that particular film if he is continually veering off-topic to discuss literary works or making links to psychoanalysis. 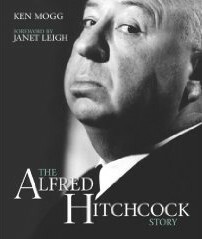 Overall, The Alfred Hitchcock Story is another worthy addition to the canon of material surrounding probably the most famous film director of the 20th Century. Can it be considered the definitive guide? No- but then I suspect that will never be published (at least, not in one volume!). It is, though, a superbly attractive piece of work which exhibits a thoroughness (even if this does go too far at times) which is to be warmly commended. Despite its halting prose style and occasional lapses into name-dropping, the book is as comprehensive account as you will find in one book. In its scope- not omitting the two wartime short films or overlooking Hitchcock’s work in other media- the book presents an unbiased gallery of Hitchcock films which entices the reader to seek out some of the lesser titles for an evening’s viewing. In narrating the tale of its subject, The Alfred Hitchcock Story tells a great part of the history of film from silents to talkies and monochrome to colour- and that’s a pretty interesting tale to be told. 'The Alfred Hitchcock Story' is published by Titan Books.